Provide comfort for the family of Warren "W.C." Edkins with a meaningful gesture of sympathy. 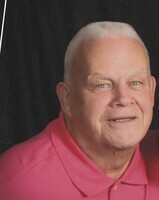 Warren C. “W.C.” Edkins, 81, of Lakeland, Florida, formerly of Bellefonte, passed away on Saturday, April 13, 2019, at Winter Haven Hospital in Winter Haven, FL. Born on April 1, 1938, in Oneida, New York, he was the son of the late Charles H. and M. Adelaide (Case) Edkins. On June 26, 1975, he married the love of his life, Sandra (Argyle) Edkins, who survives at home after sharing 43 years of marriage together. Warren was a graduate of Rome Free Academy in Rome, New York and attended Manlius Military School. After relocating to Central Pennsylvania, he worked as the manager for Imperial Motor Inn and the Happy Valley Motor Inn in State College until his retirement in 2001. In addition to his wife, Sandra, he is survived by two children, Derek Wood and Stacey Hoffman (Michael), all of Bellefonte, and two grandchildren, Ryleigh Winters Bonds (Zachary) and Jordan Aubin. Also surviving is one brother, Neil Edkins (Phyllis), of Henrietta, NY, and Cynthia Anno (James), of Milton, DE. Warren was very athletic in his younger years. He enjoyed bowling and baseball, being particularly proud of his baseball team being NY State Champs. Although he only had two grandchildren, he had an overwhelming love for all his “grand-animals” over the years. He could light up a room with his contagious smile. Warren saw the good in everyone he met and loved them all. He developed many friendships over his years. He will be remembered for his friendly, happy and outgoing personality. A Celebration of Life and burial will be private at the convenience of the family. Arrangements are under the direction of Wetzler Funeral Service, Inc. in Bellefonte. In lieu of flowers, memorial contributions may be made to Light & Life Free Methodist Church at 5730 Deeson Road, Lakeland, FL 33810. 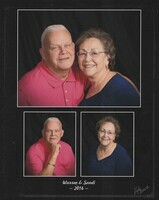 To send flowers in memory of Warren "W.C." C. Edkins, please visit our Heartfelt Sympathies Store. We encourage you to share your most beloved memories of Warren "W.C." here, so that the family and other loved ones can always see it. You can upload cherished photographs, or share your favorite stories, and can even comment on those shared by others. Provide comfort for the family of Warren "W.C." C. Edkins by sending flowers. Stacey, Mike & "Mom", You have all been in my thoughts and prayers! I was shocked to hear the news. "Dad" was always so friendly, supportive and nice. I loved seeing all of you together and enjoyed the times we saw each other. He was such a joy to be around. Praying for comfort in all the great memories you have! Warren will be deeply missed by his friends in Florida. He was just one friendly, caring guy. We pray God's comfort for his family in the days ahead.